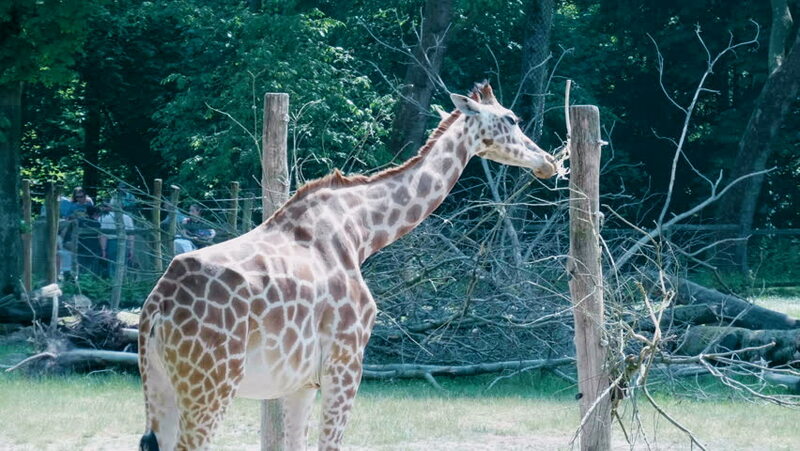 MECHELEN / BELGIUM - MAY 20, 2018 (Planckendael Zoo) Giraffe chewing on branches. hd00:10Close up profile view of a reticulated giraffe eating. hd00:07Giraffes in Ljubljana zoo walking.